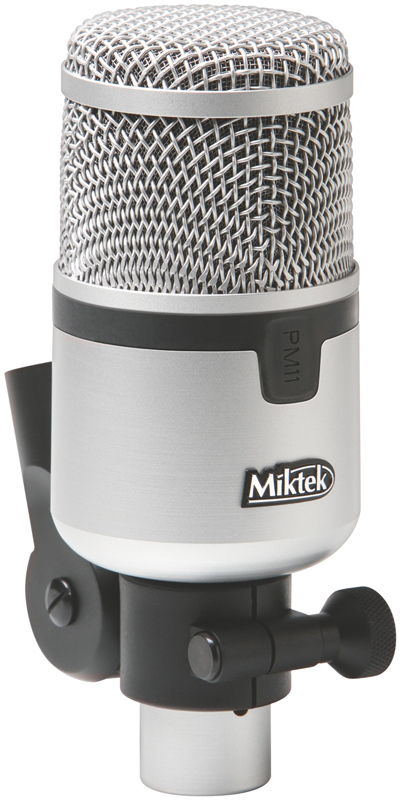 PM11, Dynamic Microphone from Miktek. Miktek has introduced its new Performance series of mics for live sound: 2 for vocals and 2 for drums. The PM5 and PM9 vocal mics are dynamic condenser models, respectiively. The former. 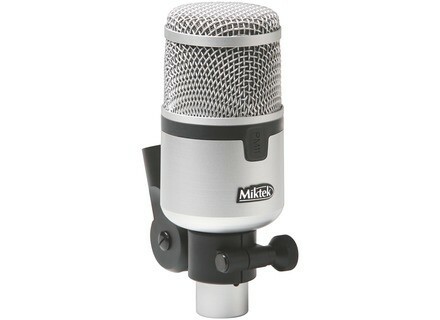 a live performance version of the brand's CM5, is a cardioid, the latter is a supercardioid. Miktek also designed two microphones for your snare/toms (PM10) et and bass drum (PM11) to use for live performance. Both models are dynamic and supercardioid. A pack of three PM10 and a PM11 is also offered at a price of $699 (reference PMD4). Blue Microphones Radius Blue Microphones announces Radius, a custom-made suspension shockmount for Yeti and Yeti Pro, designed to isolate the microphone body from ambient vibration when mounted on a mic stand.